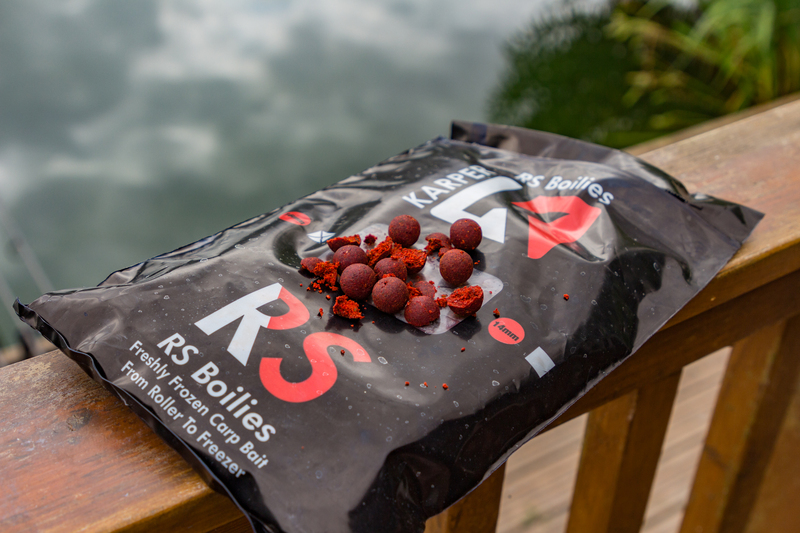 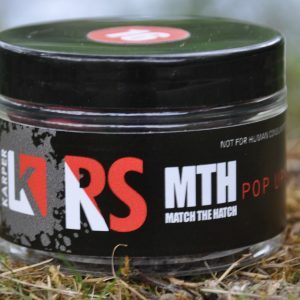 The KARPER RS boilie is a bird food / fishmeal based bait that contains a very high percentage of Robin Red. 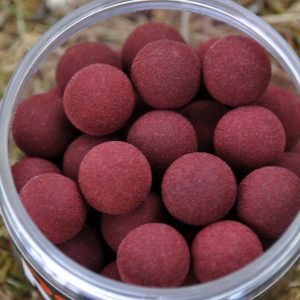 Please note these are a freezer bait range, if possible please can you state a day which is best for delivery to ensure someone is in to receive the order. 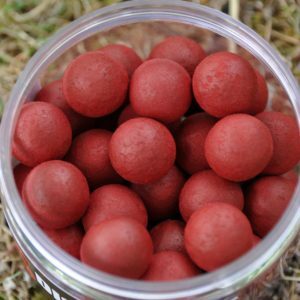 The boilie is flavoured with a low level fruit based flavour which is pre- blended to our own specification. 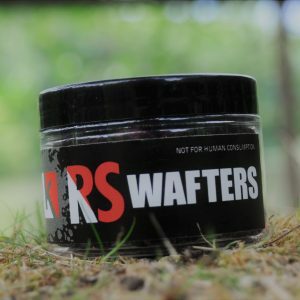 The base mix from which the RS boilie is created uses a two stage mixing process to blend both the attractor package and the bulk ingredients separately. 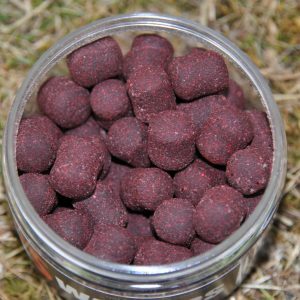 The finished ingredients are then left for 4 to 6 weeks to allow the attractor package to permeate throughout the whole of the base mix. 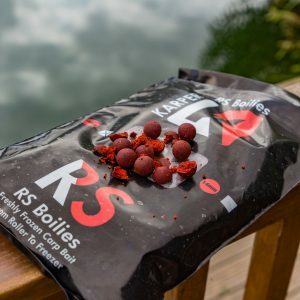 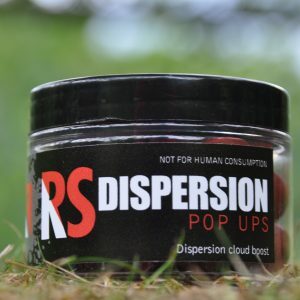 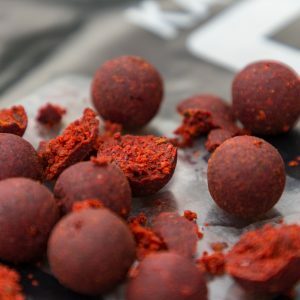 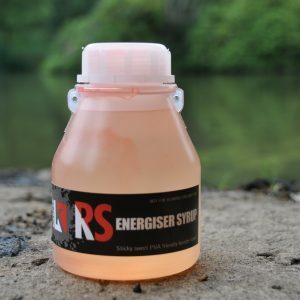 This creates a super consistent base mix which when blended with the liquid attractor’s produces bait that will catch from any water from its first introduction. 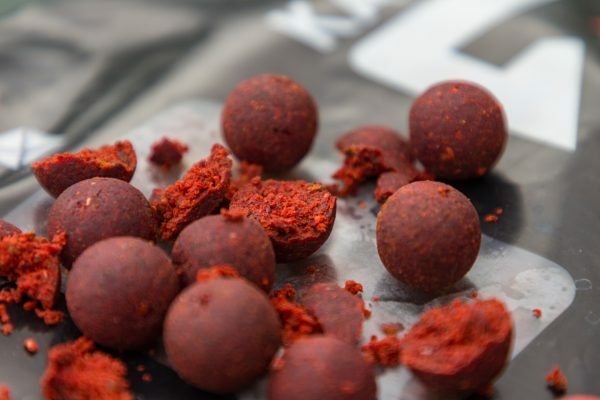 Please note that this is a freezer bait.